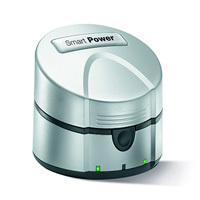 Signia Siemens eCharger and Rexton Connexx Smart Power battery chargers, recharge the batteries in rechargeable hearing aids. Battery chargers are a convenient place to store your hearing aids as well as to keep them dehumidified. You do not have to worry about buying hearing aid batteries or running to the store at an inconvenient time. Our hearing aid battery chargers come with the full manufacturer's warranty on the charger and rechargeable batteries. We offer rechargers and rechargeable batteries for Signia Siemens and Rexton hearing aids. Signia Siemens eCharger - Signia Siemens has one of the best hearing aid battery chargers on the market. If you are using Signia Siemens hearing aids, we sell chargers that include two rechargeable hearing aid batteries and a one-year warranty. The rechargeable batteries last approximately a year. Your hearing aids will charge in about 5.5 hours and are good for all day and all evening use. The charger also acts as a dehumidifier, that helps eliminate the moisture from hearing aids that can over time have an adverse effect on the circuitry and connections. If you have arthritis or any condition that makes it difficult to move your fingers the eCharger practically eliminates the need for opening the battery doors. This greatly reduces the wear and tear and stress that is normally placed on the battery doors. Our patients tell us another important benefit is it is a convenient place to keep your hearing aids. The Siemens eCharger also reduces battery waste making it eco-friendly. Siemens eCharger comes with a one-year warranty on the eCharger and rechargeable batteries. All Signia Siemens eChargers are not the same. 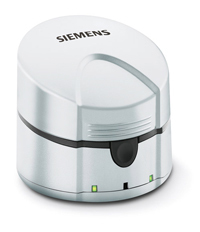 They are specific to the Siemens hearing aid technology (Primax, Binax and Micon) as well as the battery size. The hearing aid rechargeable batteries that come with the eCharger are Power One Accu Plus made by Varta in Germany. There is a significant difference in the performance and reliability of third-party batteries. We offer the original replacement Power One Accu Plus rechargeable batteries. After one year our after warranty replacement Power One Accu Plus batteries cost $20.00 each. Please specify the model and style of your Signia Siemens hearing aids before ordering. Price with 2 Rechargeable Signia Siemens batteries $138.00 ea. Rexton Connexx Smart Power Charger - With the Rexton Connexx Smart Power hearing aid battery recharger there is no more worry about buying hearing aid batteries or being without batteries at inconvenient times. Similar to charging a mobile phone, the instruments are ready to run all day after a six-hour charge overnight. The charger also includes a drying function that removes harmful moisture from the hearing aids, improving long term reliability and performance. Eliminate daily hearing aid battery hassles and try our worry-free charger. Rexton Connexx Smart Power Charger comes with a one-year warranty on the recharger and rechargeable batteries. After one year replacement rechargeable namebrand batteries cost approximately $20.00 each. Rexton Connexx Smart Power Chargers are unique to the model and style of Rexton hearing aids. Price with batteries $130.00 ea.